Nicole, from The Wander Woman, wearing a beautifully ruffled dress in the perfect shade of teal. Check her blog and take some inspiration with you. From packing for the perfect picnic, to throwing a beautiful engagement party, Nicole, with help from her friend Mishel, have mastered the fine art of living. 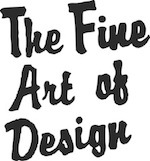 You are currently reading Blog Lovin' via The Wander Woman at THE FINE ART OF DESIGN.